EDIT: Giveaway is officially over. Congratulations to Diana Dinky for submitting the randomly-chosen 17th entry. Please email me back within 72 hours to claim your prize. I appreciate my blog pack having my back even though I didn't post very much while moving! 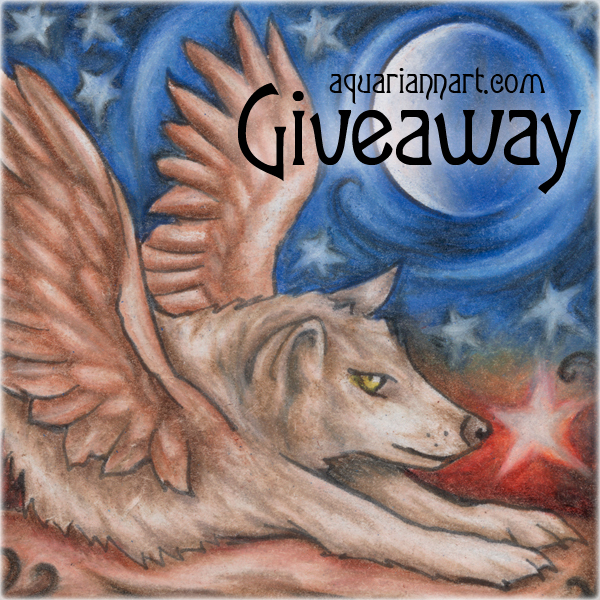 As a thank you, I've joined the Howl-O-Ween Giveaway Hop and am giving away a magnet featuring my winged wolf colored pencil drawing above. All my magnets are printed on semi-gloss photo paper, then turned through a Xyron 900 laminate/magnet cartridge. They measure approximately 2.25x3.5 inches. When commenting on the blog post for the mandatory entry, please be sure to include the same name you use to fill out the Rafflecopter - all entries by winner must be easily verified or a new winner will be chosen. 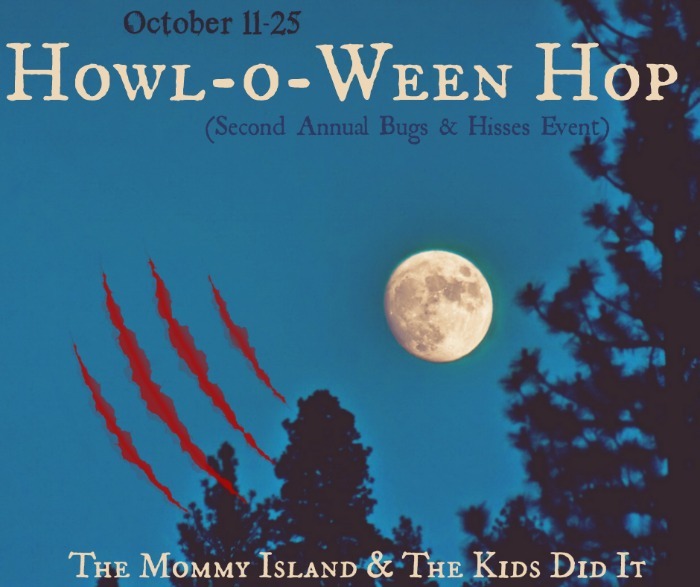 Thanks to The Mommy Island and The Kids Did It for hosting! My favorite is the White Rabbit On Way To Wonderland picture. The red gerber daisy drawing is my favorite. How can we post with the same name that we entered with if we have to post with the default google/what I am logged in as? Frustrating. Well, I like the golden unicorn warrior and the "downward wolf"
I entered as Tracee, which doesn't match the name posted here. I also entered with my contest email, which doesn't match what is here either, but I'm not going to post it publicly. I understand that you want to verify the veracity of what people say, but it would help if you didn't make it so difficult. how about just asking for the poster's name in a comment box on the entry? The Rafflecopter entry states "You must include the same name or email you enter with so the entry can be easily verified..." so people that don't want to use the "Name/URL" option when commenting on my blog just include their name in the comment. 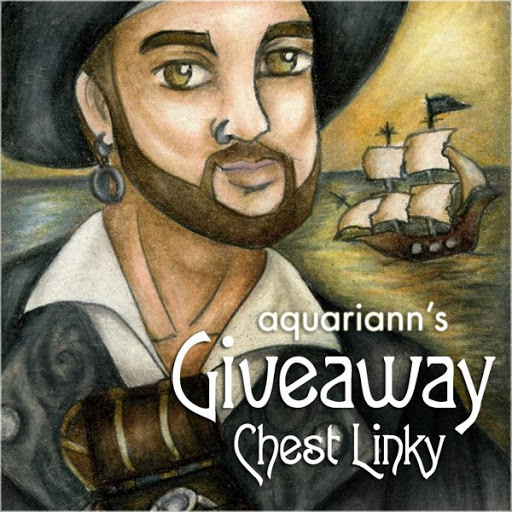 Since the warning on the blog itself confused you, I'll tweak the wording in my next giveaway. I like Pretty Pink Cherry Blossom Tree. 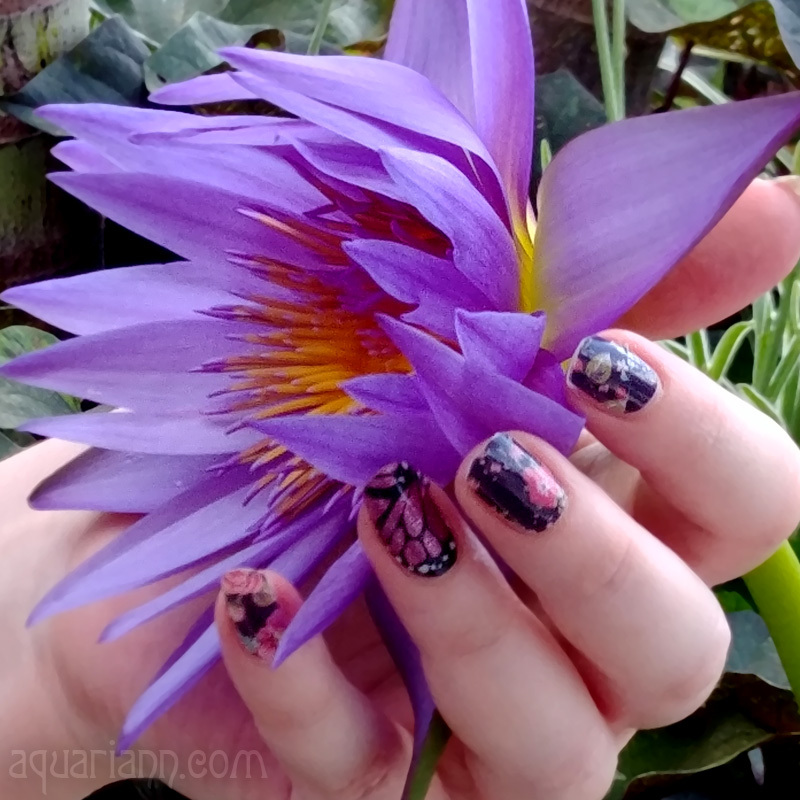 It reminds me of the flowers I used to have in my yard. Pretty Pink Cherry Blossom Tree because I visited Washington DC and the Cherry Blossom season was stunning. My favorite is the orange tiger lily drawing. I like the Golden Unicorn Warrior art. The flower photographs are gorgeous too. Ombre Pink Rose Bouquet is my favourite since I love pink roses. all of them are great. specially the Orange Tiger Lily Drawing. Red gerbera daisy drawing was my favorite! My favorite is the Golden unicorn. I like the Golden Unicorn Warrior Art. I really like the Pretty Pink Cherry Blossom Tree. the pink cherry blossom tree is my favorite. it is beautiful. I am crazy about the Pink and Yellow Columbine Flower drawing. Just lovely! I'm so in love with the White Rabbit On Way To Wonderland! My favorites are the fairies art.